September 20 – Last day to register as a voter to be qualified to vote in the Town Preliminary Election. The Town Clerk’s office will be open from 8:30 A.M. to 8:00 P.M.
October 10 – Town Preliminary Election. 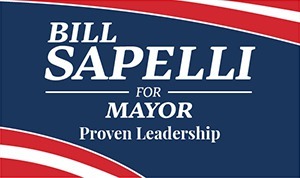 The polls will be open from 8:00 A.M. to 8:00 P.M.
Precinct 1 – Robinson Park Elementary School, 65 Begley St.
Precinct 2 – Clifford M. Granger, 31 South Westfield St.
Precinct 3 – Agawam High School, 760 Cooper St.
Precinct 4 – Roberta G. Doering School, 68 Main St.
Precinct 5 – Benjamin J. Phelps School, 689 Main St.
Precinct 6 – James Clark School, 65 Oxford St.
Precinct 7 – Agawam Jr. High School, 1305 Springfield St.
Precinct 8 – James Clark School, 65 Oxford St.
October 18 – Last day to register as a voter to be qualified to vote in the town election. November 7 – Town Election. Please click here to fill out a form to receive an absentee ballot. Please click here to learn what precinct you are in.